San Francisco is undeniably one the world's most beautiful cities, but it's also one of the noisiest. Having Castle Window Covers install our virtually-invisible soundproof windows in your home or office is one of the best things you can do to help you enjoy the city... in peace and quiet! San Francisco has great views from almost every window in the city. There's a vibrant, downtown economy, great restaurants everywhere you turn, and about a million things to do, day or night. With all these things to enjoy comes a lot of noise, so soundproofing your windows is a great option. San Francisco is one of the most beautiful cities in the world... and one of the noisiest. Soundproofing your windows will be one of the best things you'll ever do. With all the people in San Francisco getting through the hustle and bustle of everyday, San Francisco life, there comes a lot of noise from traffic, people walking by in groups or on their cell phones, city buses, cabs and even the famous cable cars. On top of that, there's a ton of construction going on all the time throughout the city. 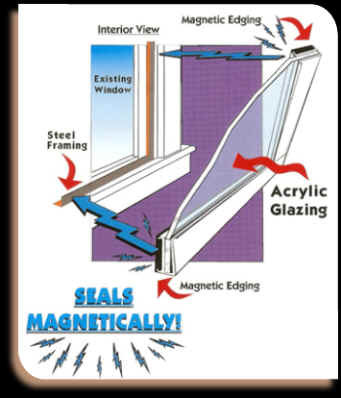 The more things we list in San Francisco, the more attractive soundproofing your windows sounds! While just about everyone loves the San Francisco lifestyle, once in a while, you have to unplug, and relaxing in your home can only really be achieved with soundproof windows. Castle Window Covers is located in Stockton, CA, just about 1-1/2 hours from San Francisco. We can be there on short notice to soundproof your windows and let you get a better night's sleep! The economy in San Francisco is still going strong, and with that success comes a lot of construction. It's unbelievable to see just how many construction sites there are right in the middle of San Francisco! With all that construction comes a bunch of noise. As you well know, real estate is San Francisco isn't exactly cheap, either, so if you want to enjoy everything that San Francisco has to offer, you may want to call Castle Window Covers to help you soundproof your windows. Castle Window Covers are practically invisible, they're easy to put up and take down, they can be custom-fitted to just about any existing window, new or old - even the old, historic single-pane windows with the little cranks at the bottom (and they even insulate your home or office from the cold more-efficiently than dual-pane replacement windows), and they cost way less than replacement windows - about half the cost. Keep the View; Kill the Noise! San Francisco is such a beautiful city, and with all the hills, there are great views out almost every window you find. When you soundproof your windows, you can enjoy one of the world's greatest cities a lot more without the beeping of construction vehicles and the honking horns of passing traffic. There are beautiful views of San Francisco from almost any window. Enjoy it more by soundproofing your windows. Call us today for more information on how we can help soundproof your windows. You can also email us through the site on our Free Estimate page. Our soundproof windows are quite simple, actually. The glass in your existing windows transmits vibrations (sound waves) coming from outside - that's why you can hear all the construction noises, people and downtown traffic so clearly through your window, even when it's closed. Castle Window Covers are a high-grade acrylic - the same grade used in jet airplanes to insulate the passengers from the jet engine noise right outside. As opposed to glass (even the glass used in dual-pane windows), our acrylic window covers absorb sound waves which helps eliminate and dampen outside noises from coming in, thereby helping to soundproof your windows up to 70% better than regular windows. Our window covers are custom-fitted to each of your windows, and they magnetically seal in place over your existing windows. Best of all, Castle Window Covers are about half the cost of replacement windows and they're better at soundproofing your home, office, restaurant, day spa, downtown business, etc. Our window covers minimize outside noise from coming in by creating a "dead air" space between your existing window and the Castle Window Cover. This helps "trap" the noise outside your invisible window cover, letting you get a good night's sleep, concentrate in your office during the day without the annoying outside noises, run a more efficient business in general... not to mention, Castle Window Covers also insulate your windows from the weather, too, significantly reducing your utility bills by up to 50%. Call or email us any time for a free estimate. We're located in Stockton - just about an hour-and-a-half from San Francisco, so we can be there on short notice to help you get a better night's sleep, get more work done, and just enjoy the San Francisco lifestyle with a little bit of peace and quiet. 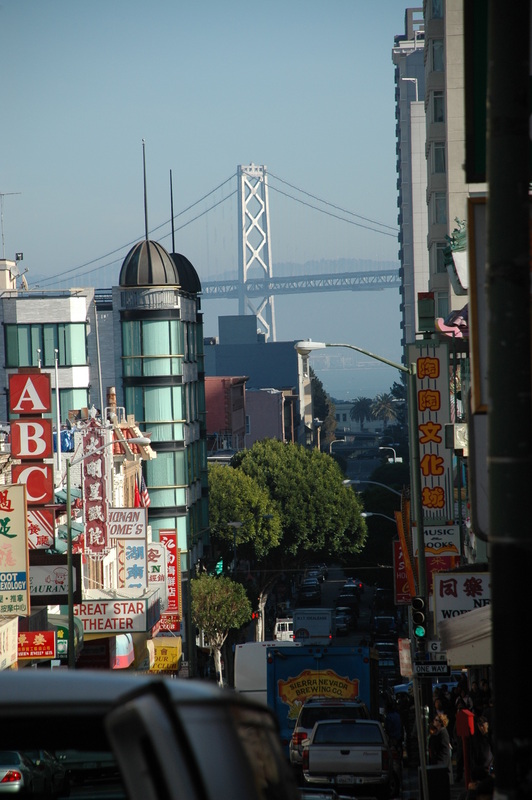 Read our testimonials from some of our happy, soundproof windows customers in San Francisco.